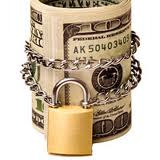 More often than not, scams and thievery can be detected and/or prevented relatively easily. Strict enforcement of all employee rules is a must and vigorous prosecution of any offenders is essential. Employees must be made clearly aware of the dire con­sequences of flouting the house rules - every detail must be addressed. Have a manager total the cash at the end of a bar shift. While the bartenders may feel distrusted, you can always point out that the rule is in place to protect honest staff. House rules. All new members of staff should be required to sign a confirmation that they have read the house rules, fully understand the impli­cations involved and agree to follow the rules to the letter. No drinking on duty. Prohibit all bartenders from drinking while on duty. Also, strictly regulate off-duty drinking. Off-duty drinking can see fellow bar staff overpouring, giving away free drinks or undercharging their colleagues, and while staff should be encouraged to socialize with patrons after hours, this should be closely watched. stock-taking and inventory-counting process. Nor should they be involved in receiving, ordering or issuing inventory. It might be a painful process, but this really should be a management-only function. High-value inventory. Strictly enforce all security procedures for liquor, wine, beer, spirits and any other high-value inventory. Only key personnel should have access to storage areas, and everything that comes out should be duly noted. par readings. This refers to the number of bottles left in fridges and behind the bar after a shift has ended. Engage in spot-checking of this count to ensure that no thieving is taking place. Prohibit the practice of recording more than one transaction per drink ticket. If your bartenders are allowed to use a "running" ticket, they can easily neglect to record all the drinks they have actually sold and pocket the difference. Strictly enforce voiding procedures. If an amount is rung up on the register, the bartender should not be allowed to void it without management approval.